In considering books for this year's bookclub, I looked no further than my own Classics Club booklist which I compiled back in 2012. It's a list of books I want to get through, yes, but it's not one that I'm highly motivated to finish. 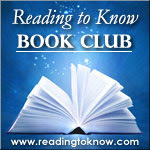 Enter challenges and bookclubs. Somehow knowing that others are reading along with me (and depending on me for some sort of concluding thoughts!) is often just enough motivation. It also helps that this is an extremely short book, especially since my family is in the middle of a move. (We've lived the same place for sixteen years this month, and we have a lot of stuff!) I will in all likelihood read this one aloud to my children, though I am reserving the right to enjoy it on my own should I find that it isn't going to work well for us as a read-aloud. What do I know about this book? Nothing, except that I see it quoted fairly frequently. According to Wikipedia, it is the third most translated book in the world. It looks like it's time I read it! I'm looking forward to reading along with you all! I'm in. I was able to reserve a copy at the library - this copy even comes with CDs of the story. It's one of those titles I have seen but never looked at, so I am happy to find out what it's all about. I'll get started reading this one in just a few days -- currently waiting on my copy to arrive at the library. Sounds like a good one! I ♡ this book so much we quoted it in our wedding program and it inspired the theme of our wedding cake. :) I have it in regular and pop up edition. :D I'll gladly reread it! 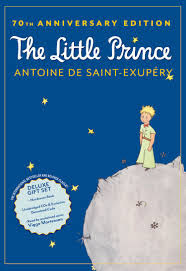 I will say that a few years ago I read a biography of Antoine de st Exupery that did change how I felt about the book as a whole, but I still think that he really captures the essence of the way I view friendships. May was a stinky month for reading in my world. Surely June will be better!!!! I hope to read it. . .